Provides meaningful seed funding for student-initiated ideas, mentoring from within MIT and from a broad network of committed partners, and tailored educational experiences. 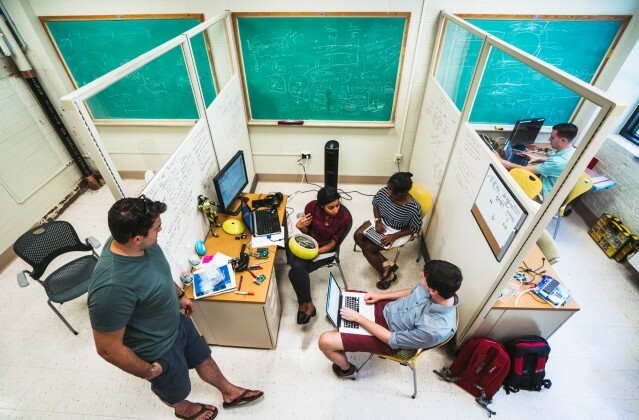 The MIT Sandbox Innovation Fund Program (MIT Sandbox, for short) provides meaningful seed funding (of up to $25,000) for student-initiated ideas, mentoring from within MIT and from a broad network of committed partners, and tailored educational experiences. The objective of MIT Sandbox is to help students to develop the knowledge, skills, and attitudes to be successful innovators and entrepreneurs. It is about developing people, not ideas. However, the learning is in the context of advancing innovative ideas or projects of the students’ own creation — ones that serve important needs in the world. MIT Sandbox also bridges other existing campus programs, including StartMIT; Deshpande Center for Technological Innovation; Beaver Works; Martin Trust Center for Entrepreneurship, Venture Mentoring Service, and MIT $100K Entrepreneurship Competition. MIT Sandbox, open to all MIT undergraduate and graduate students, provides: seed funding, tailored education through courses, workshops, events; advising/mentoring from entrepreneurs, industry experts, investors; and access to resources, including the hobby shop, maker spaces, materials, software.